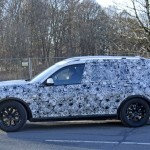 Spy shots revealed more than what we expected for the 2018 Land Rover Range Rover Sports Coupe. 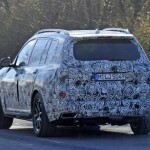 The sloped roof clearly seen on the spy shots is reminiscent of what BMW has done on most of its SUVs. Although the Land Rover already has the Range Rover Evoque Coupe in its lineup, that didn’t stop the British automaker’s plans to introduce a second coupe-like SUV. 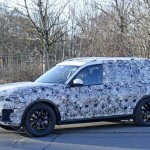 For now, it’s codenamed the L560, but we all know it’s going to be called the Range Rover Sports Coupe after the more on-road-oriented Range Rover Sport. Those who are wishing that Land Rover will come out with a seven-seater SUV will need to mend their broken hearts again. 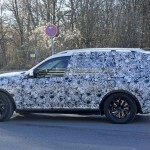 Although the looks of the Range Rover Sports Coupe is not far off from the conventional Range Rover Sport, we can already see that the roof is seated much lower. With that low sloping orientation, don’t expect this SUV to have a third row for the sixth and seventh passenger. Though the Range Rover Sports Coupe will be longer than the Jaguar F-Pace, it will use the same aluminum-intensive platform we have seen on the Jag. Why the larger size, you ask? The Range Rover Sports Coupe aims to bridge the wide gap between the Range Rover Evoque and the Range Rover Sport in the luxury-oriented lineup. Apparently, the Range Rover Sports Coupe will be competing with the BMW X6 and the Mercedes-Benz GLE Coupe. For now, we’re pretty sure that the Range Rover Sports Coupe will be offered with an inline-4 and a 6-cylinder. But it’s also possible that at least in the United States, a new inline unit would be made available as a standard option. There are also talks that it will eventually offer an electric option similar to what Jaguar will be using for the I-Pace. We know that BMW wants to be at the top of everything, but we didn’t know they would eventually dominate the hauler segment of vehicles. The X7 is one such example. 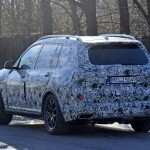 Although the production hasn’t started yet, it will surely come out ready once BMW is done with it. 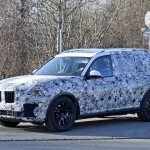 While it’s likely that the X7 will debut for the 2019 model year, that doesn’t stop us from speculating what’s underneath that camouflage we saw in the spy photos. 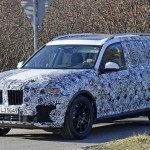 The BMW X7 was caught testing again recently under the cold weather conditions of Sweden. 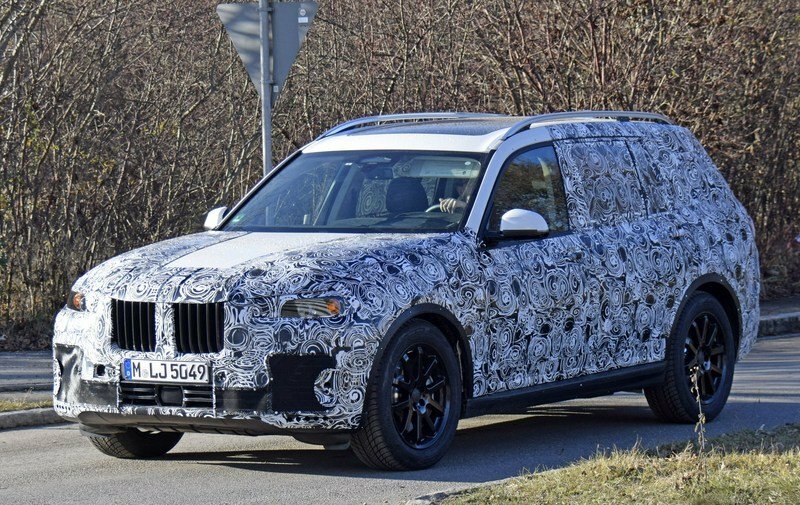 The X7 will be particularly similar to the X5, though it’s a bit bulkier, has a more imposing appearance, and has a proper third-row seating. 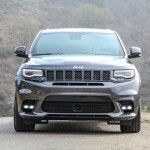 It also has a more muscular looks, thanks to its larger wheels and massive kidney grille. 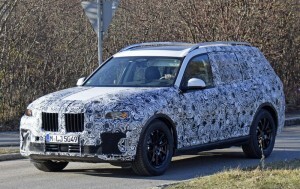 The headlight design we saw on the X7 is the same one on the brand new 7 series. As for the bumper, it will be similar to the company’s design language. Combine the X7 and the new 7 series, and you’ll get an idea of how the X7’s interior will look like. 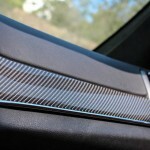 Alcantara leather will cover most of the interior that’s not made from wood or metal. 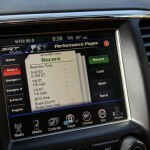 It uses state-of-the-art technology, including BMW’s iDrive 5.0 touch display and gesture control. 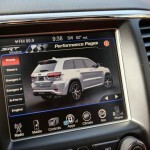 It also has the Touch Command Tablet, which will allow passengers to control HVAC temperatures, infotainment, and the audio system. 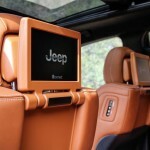 The third-row seat will be optional because buyers can choose to have more legroom and a larger trunk. Under the hood, nothing is so special with the X7. 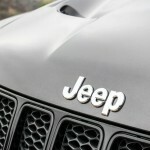 It will use BMW’s 3.0-liter inline-six and 4.4-liter V-8. 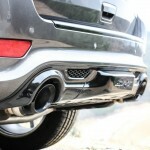 The turbo can produce 320 horsies and 330 pound-feet of torque while hitting 60 mph in less than six seconds. It has a top speed of 130 mph. 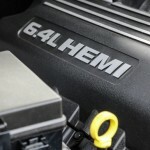 The V-8 will be able to churn out 445 horsepower and 480 pound-feet of torque to reach 60 mph in less than five seconds. The X7 will probably be the most expensive of the X series. Although there is no official word yet, we’re assuming that this will retail with a starting price of $70,000. 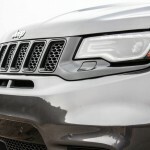 The range-topping model should exceed the $85,000 mark. 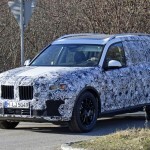 As for competition, the X7 is looking to battle it out with the Mercedes-Benz GLS and the Cadillac Escalade. 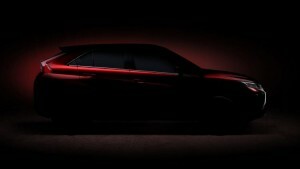 Despite the fact that Mitsubishi’s all-new compact SUV is only slated to be revealed at the 2017 Geneva Auto Show, the Japanese automaker has decided to give us a glimpse of what’s to come. The five-seater bandwagon will address the gap in the Mitsubishi SUV lineup. This new compact SUV from Mitsubishi will fill the gap between the current ASX and the Outlander in the Japanese car manufacturer’s lineup. This will prove Mitsubishi’s plan to eventually move from passenger cars to a SUV-centric range. 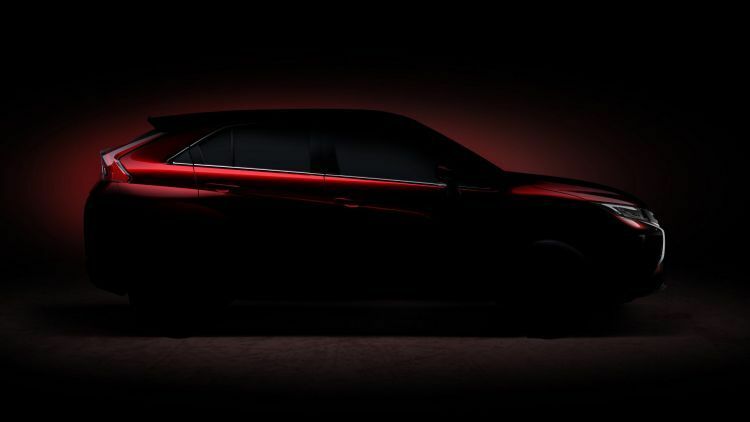 Mitsubishi refused to divulge any details about what platform will be used on this new SUV, but the exterior detailing has us wondering if the XR-PHEV and XR-PHEV II concepts will play a major role here. 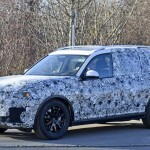 The teaser for the SUV gave us a glimpse of sharply angled design, slanted C-pillar, and wedge-shaped glass house. All of these bear similarities with the two previous concepts. 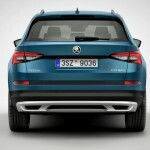 Reminiscent of the ASX, this new SUV will have a slightly smaller size for the next generation. 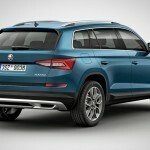 It will sport a traditional five-door and five-seater cabin. Though Mitsubishi has not released any details about the powertrains in their new SUV, we bet the automaker will use a 1.5-liter turbocharged petrol and a 2.2-liter turbo diesel found in the Outlander. The petrol will be paired with a six-speed manual or a CVT automatic while the diesel will be mated with a six-speed automatic. Both of these engines will come standard with a front- and all-wheel drive systems. Mitsubishi is also expected to come out with a plug-in hybrid variant, which is based on Outlander PHEV’s petrol-electric drivetrain. There are no pricing details yet, but expect it to be similar with the ASX XLS, which has a price tag of $36,490. There are three new off-road trucks that you can choose from—the Mercedes-Benz G500 4×4², the Toyota Arctic Trucks Hilux AT 35 6×6, and the Toyota Arctic Trucks Hilux AT 35. The German automaker is adding to its already spectacular G-Class lineup with the G500 4×4². With an all-wheel-drive powertrain, this is the perfect companion for all your off-the-road adventure. 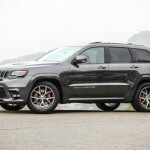 It comes with a new 4.0-liter V8 biturbo engine coupled with its lightweight construction and promises high efficiency. Just how efficient and comfortable it is to ride on the G500 4×4²? Passengers will feel like they are riding in a sports car instead of a cross-country vehicle. With a 35-inch tires, an off-road vehicle doesn’t get any better than this (except the Arctic Trucks Hilux AT 35 with the 6×6 package), The suspension system in this particular Arctic Truck has been completely re-engineered and the exterior has been upgraded to provide a “macho” appearance. What sets this apart, though, is the color-coded fender flares, although the humongous tires can make their own case. The 35-inch tires help the trucks better ram through snow, sand, and mud. 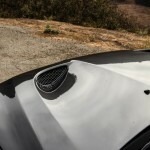 It ensures the ultimate off-road performance. If you think the Toyota Arctic Trucks Hilux AT 35 is good, try fitting it with Toyota’s 6×6 conversion package. This gives the truck higher load capacity and improved towing ability, so if you ever need to haul something across the desert, this package is for you. With a total of six tires, your Toyota Arctic Trucks Hilux AT 35 6×6 will have greater pulling capacity regardless of the road conditions. 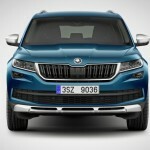 When Skoda introduced its all-new seven-seater SUV, netizens can’t help but baptize it with a new name—Skodiaq. 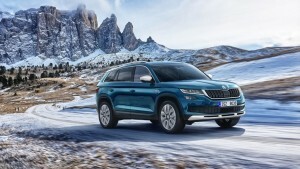 So, it’s not really a surprise that its more competent off-road version is now being called the Skoda Kodiaq Scout (yes to the Scout badge). 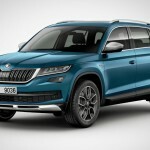 There are few differences between the Skodiaq and this Kodiaq Scout, but the latter beats the former in ground clearance and exterior styling. 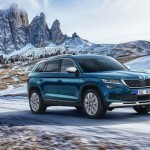 Thanks to an increase in ground clearance, drivers of the Kodiaq Scout will undoubtedly have a better experience with this new SUV. 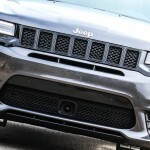 It will come standard with an all-wheel drive traction just like the Octavia Scout. 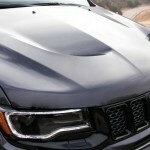 The exterior styling differentiations included a rear underbody protection that’s great for off-the-road performance. 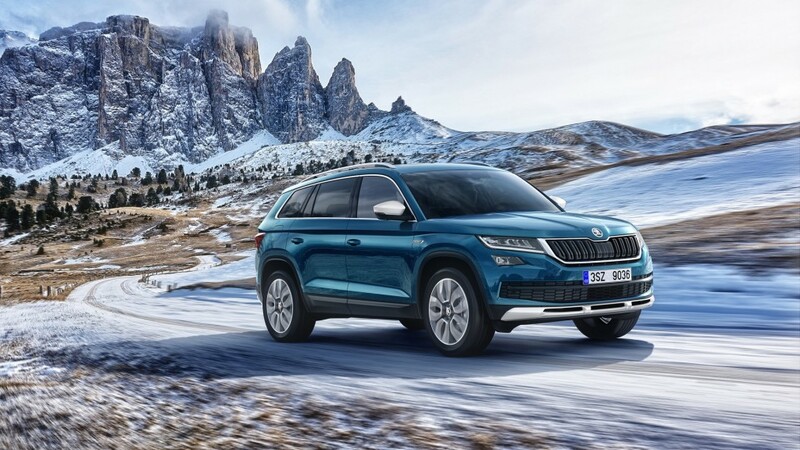 The Kodiaq Scout uses the mid-range Ambition trim, and packs the standard security features like the Off-Road Assist. It also has a total of six different Driving Mode Select system: Eco, Comfort, Normal, Sport, Individual, and Snow. You can enjoy all of these driving amenities while in the luxurious interiors with standard equipment such as 10-color LED ambient lighting, Alcantara upholstery, steel pedals, textile floor, mats, and an infotainment system with eight speakers. 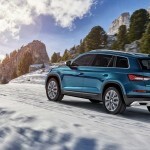 Three powertrains are available: the 1.4 TSI as the base model, the higher-end 2.0 TSI, and the most popular 2.0 TDI. The base model can produce 150 horsepower (110 kilowatts) that is good to go 62 mph in 9.8 seconds. It has a top speed of 122 mph. 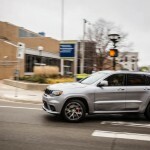 The 2.0 TSI, on the other hand, gives off 180 horsepower (132 kilowatts) to go 62 mph in eight seconds. It has a maximum speed of 128 mph. 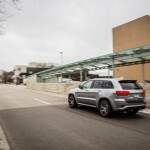 Undoubtedly, the most popular choice for drivers would be the 2.0 TDI, which can produce 150 or 190 horsepower. The first one can go at 9.5 seconds and has a maximum speed of 122 mph while the 190 will have credentials of 8.9 seconds and 130 mph. All of them will come standard with AWD with an electronically controlled multi-plate clutch in front of the rear differential. The ground clearance is 194 mm. 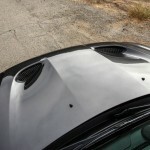 The SUV comes with an extra protection for the underbody, brake and fuel lines, cables, and engine. If you have money to burn (we’re assuming a Jaguar is only for the moneyed, okay? ), then the 2018 Jaguar XF Sportbrake is definitely something you need to have. 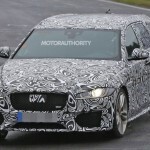 Spy shots of a new XF wagon from Jaguar was seen being tested in Nurburgring and some surrounding roads. Called the XF Sportbrake, the wagon will be the next generation of its predecessor unveiled last 2012. But unlike the current model in the market, this one is finally going to be sold in the United States. You’ll want to know which brands the Jaguar is competing with this particular wagon of theirs, right? Well, it seems like based on specs and designs alone, the XF Sportbrake will be vying with the Mercedes-Benz E-Class wagon, the Volvo V90, and the Porsche Panamera wagon, which is yet to be unveiled. 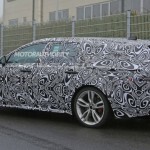 This particular model is going to be the last body style for the current XF. The standard sedan versions were released in 2015 while in 2016, we saw the long-wheelbase XF L for the Chinese market. As for the XE sedan? There’s not going to be a wagon version of that, unfortunately. 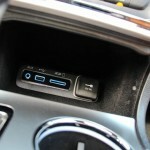 This was confirmed by Jaguar design head Ian Callum. We still don’t know exactly what’s under the hood of the XF Sportbrake. 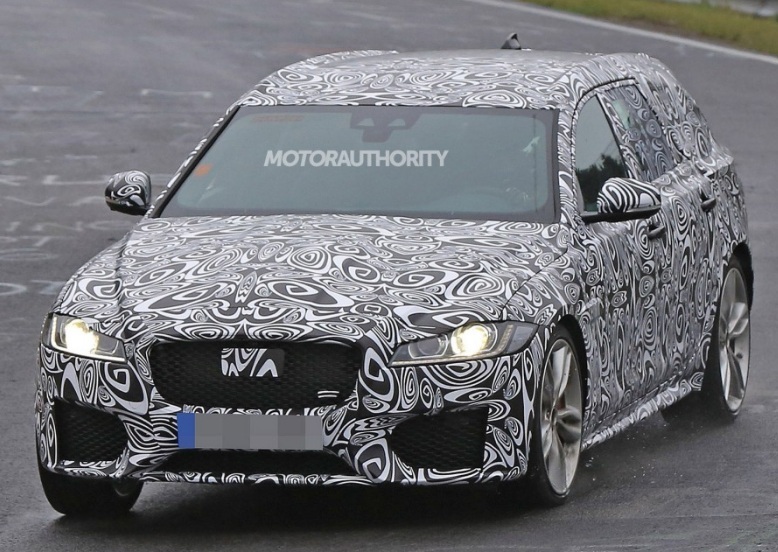 There’s a good chance, though, that Jaguar launches an XF SVR Sportbrake. 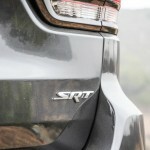 This will the successor to the original XFR-S Sportbrake. 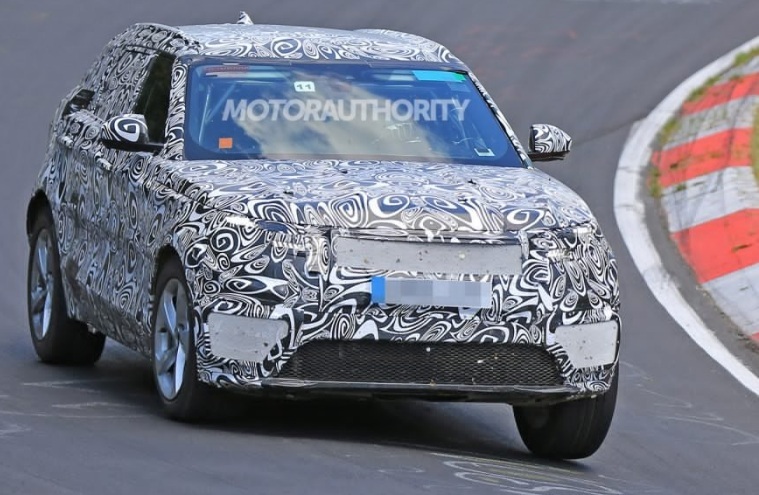 The XF SVR and the XFR-S Sportbrake will most likely offer the supercharged 5.0-liter V-8 engine in the F-Type SVR. This engine can produce a whopping 575 horsepower. The 2012 XF Sportbrake was one of Jaguar’s most successful wagons. 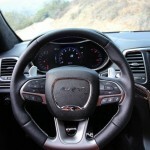 It’s only fitting that Jaguar builds its predecessor. 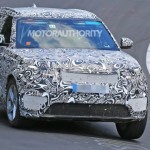 It will most likely launch in the second half of 2017, probably at the September Frankfurt Auto Show. The market launch of the upcoming Jaguar XF Sportbrake is expected in 2018. 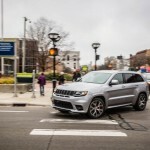 The emergence of crossovers and SUVs is a matter of practicality for most Americans. 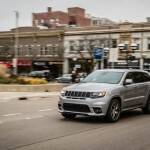 Since they can haul more people and have better space than sedans, crossovers and SUVs have obviously become a favorite for many Americans. 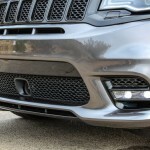 It’s no surprise that manufacturers are adding sportiness and sexiness to these compact vehicles to widen the genre and market reach. 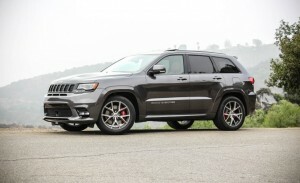 The model first came to consciousness as a 420-horsepower Jeep Grand Cherokee SRT8, which ran from 2006 to 2011. The second generation came about in 2012. 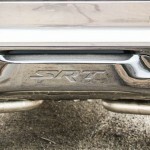 It was a 470-horsepower machine with an abbreviated SRT suffix. 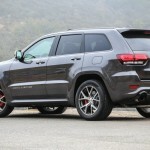 By 2014, it received a mild facelift, as well as a new eight-speed automatic transmission with launch control. Since that year, it received an update of five more horsepower and 5 lb-ft of torque for a grand total of 475 and 470, respectively. 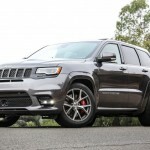 This 2017, the Grand Cherokee SRT will undergo slight touchups cosmetically. 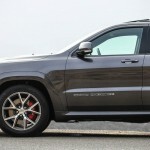 In the past, the Grand Cherokee SRT couldn’t win comparison tests because its interiors are basic and unassuming. Compared with other vehicles with this much power in the market, the Grand Cherokee SRT would feel like one of your everyday cars. 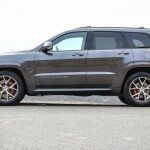 This year, the Grand Cherokee SRT has been fitted with saddle-colored hides, microsuede leather headliner, carbon-fiber trim, and a batch of other options, most of which come with a hefty price tag. You can opt for these: a panoramic sunroof ($2095), a dual-screen rear-seat entertainment system ($1995), and a premium audio system (also $1995). 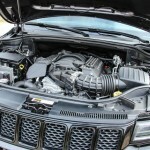 The Jeep’s engine can go 60 mph in just 4.4 seconds. If you want to go 30-to-50 mph, that would be 2.9 seconds while 50 to 70 took 3.2 seconds. 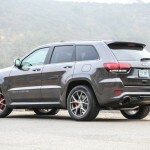 These aren’t astounding numbers, but the best thing about the Grand Cherokee SRT is that you won’t feel just how fast you’re going. It has such a good suspension system that handling it is such a breeze. 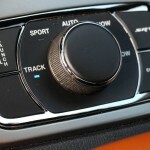 It has multiple driving modes: Snow, Tow, Auto, Sport, and Track. 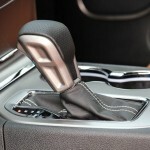 The front/rear torque distribution varies depending on the driving mode. 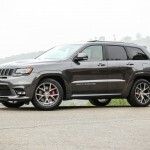 At $78,455, the Grand Cherokee SRT is way more affordable than its other rivals from Porsche, Land Rover, and Mercedes-Benz. 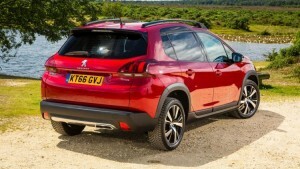 The compact SUV market is getting bigger, and French company Peugeot certainly wants a chunk of that market. Thanks to its updated Peugeot 2008, the automaker can finally compete in the SUV crossover segment with the likes of Mazda CX-3 and Toyota CH-R.
Based on a source, the new look for the 2008 gets a refreshed front, which means a new front bumper, dual grilles, and oddly shaped headlights. 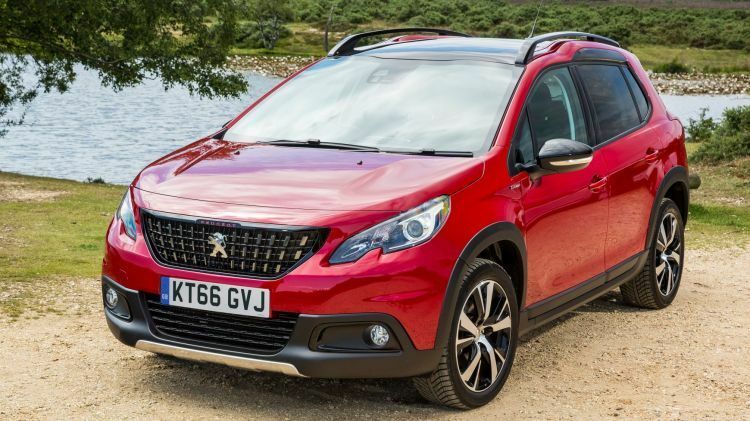 It has a hatchback-like roof line, though the floating roof at the rear highlights the reworked taillight design of the 2017 Peugeot 2008. We are not sure if this is standard across the lineup, but the Peugeot 2008 will get a turbocharged 1.2-liter 3-cylinder petrol engine as opposed to the petrol and diesel options in the previous model. This new engine can produce 81kW and 205Nm. 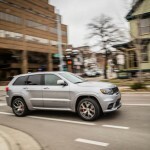 This is then paired with a six-speed robotized manual for all range after the French automaker left out the traditional manual and auto transmissions. 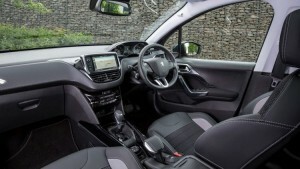 Aside from the aforementioned features, the base model Active will have these following: 16-inch alloy wheels, reversing camera, rear parking sensors, cruise control, leather steering wheel, Bluetooth, and Apple CarPlay accessible through a seven-inch screen. The next model in line is the Allure. 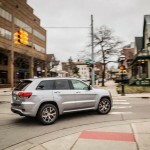 With this, you’ll get the additional self-parking function, navigation, auto wipers, auto headlights, cornering fog lights, dual-zone air-conditioning, rear privacy glass, autonomous emergency braking, and 17-inch alloy wheels. As the range-topping model, the GT-Line will get styling upgrades such as red highlights on the door handles, seatbelts and handbrakes, alloy door sills and sports pedals, red contrast stitching on the premium leather steering wheel, and red LED instrument panel surround. You’ll know it’s a GT-Line when you see it because of the chrome exhaust on the rear bumper, the black highlights on the roof rails, the front grille that surround the red-colored Peugeot lettering, and the rear door trim and spoiler and mirror shells. 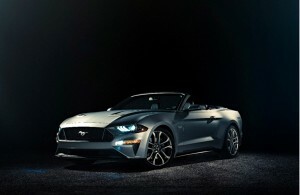 Shortly after Ford made changes on its Mustang Coupe and introduced it to the public, they are now giving the same significant changes to its Mustang Convertible. However, there’ll be a long wait before you’re able to get your hands on this toy. 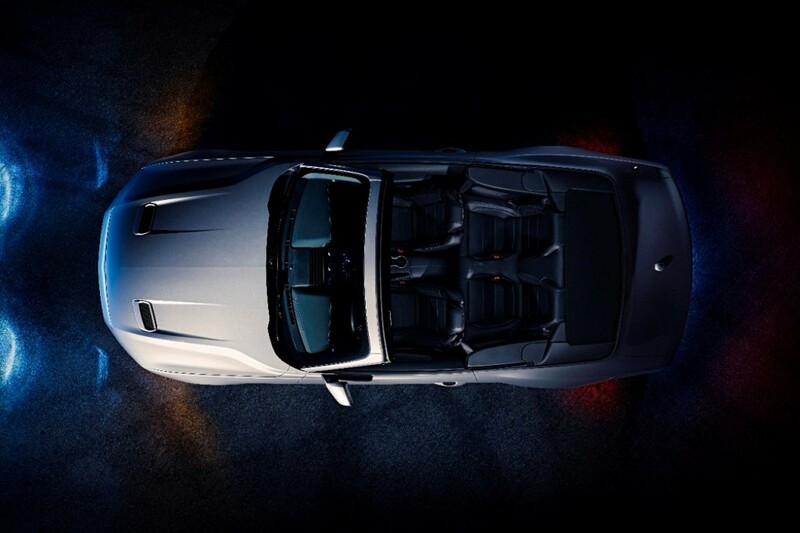 The 2018 Ford Mustang Convertible will be available starting this fall according to a report. 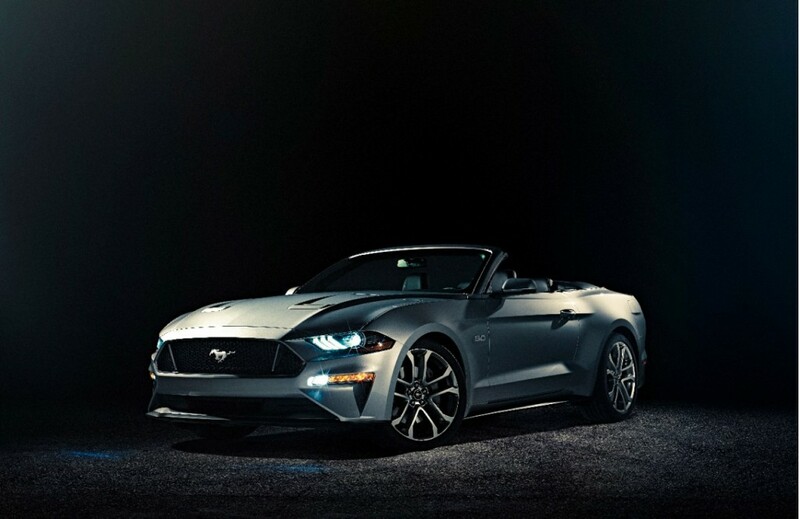 The biggest change for the 2018 Mustang Convertible happens under the hood, with a 10-speed automatic instead of the usual six-speed transmission. 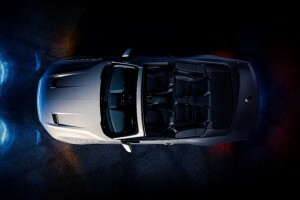 Also getting upgrades are the two Mustang Convertible options: the 2.3-liter 4-cylinder and the 5.0-liter V-8 engines. 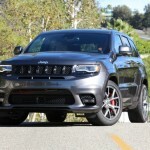 We still don’t know what changes will come for the 2.3-liter though we are quite sure that the 5.0-liter will add direct injection for a boost in power. Aside from the changes on the powertrains, the new Convertible will also have the MagneRide suspension and active valve exhaust will be an option. With the use of magnetorheological shocks, the metal-infused fluid in the suspension makes the shocks firmer when giving an electric charge. This suspension system is included in the Performance package for the coupe, so we’re assuming \it will be the same here. Same with the Coupe, the Convertible will get a 12-inch customizable digital instrument cluster, which has a MyMode memory function that can remember your driving preferences. 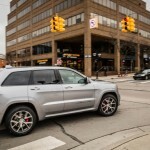 For the safety features, there’s the forward collision warning with pedestrian detection and emergency braking. The Convertible follows the Coupe’s change in designs with the new front end and rear end. The Convertible, in particular will have resculpted headlights, a lower fascia that flares out, and a more complex outer air intakes. Ford will offer the car in three new color options. There will also be a choice of 12 different wheel designs, so owners can customize each Mustang Convertible through their color and wheel options. Comparing the Kia Stinger GT and Audi A5 Sportback is monumental because up until Kia threw its own in the ring, there are only a few competitors in the four-door fastback category. 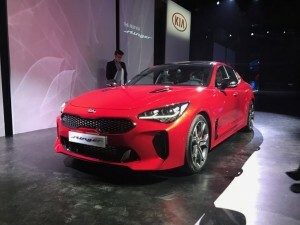 Although it was a latecomer, Kia was bold in its move, designing the four-door Stinger fastback with hood vents, tiger-nose grille, unique LED headlamps, and a throng of other athletic elements. The Stinger also has a “jazzed up” wheels, a beautifully sloping roof, and a silver trim that runs along the windows to the rear of the vehicle. Turning to the rear, you’ll find that Kia fitted the Stinger with dual exhaust tailpipes, thin taillights, and angular vents. 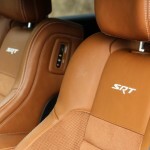 Inside, you can expect a more premium feel for the Stinger GT. There’s Nappa leather seat covers, large touchscreen on top of the dash, and circular air vents reminiscent of a Mercedes. 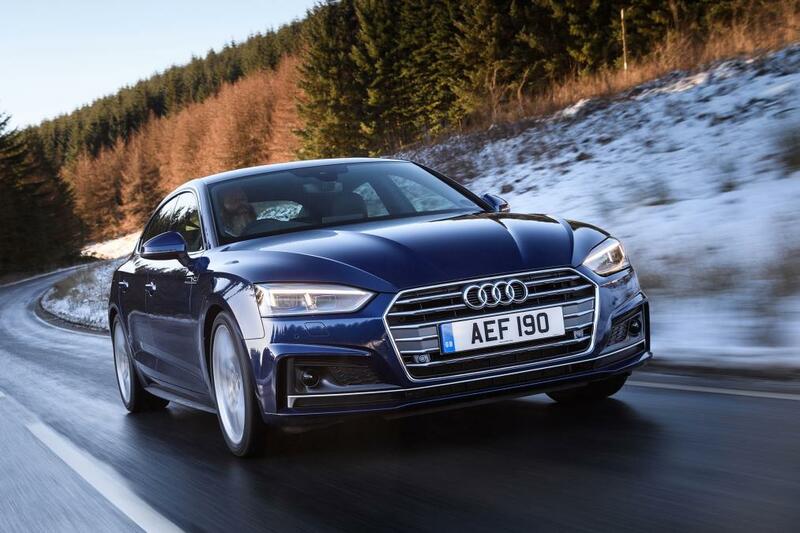 The Audi A5 Sportback, on the other hand, boasts of its spacious cargo area, which owners can access through a liftgate at the rear of the car. 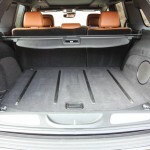 The rear seats can be folded down to further expand the already spacious cargo area. On the outside, the Stinger GT trumps out the A5 Sportback’s reservations to be bold and more alluring that the A4. It shares the Stinger GT’s side vent near the front door, and the Sportback’s character lines aren’t as tamed as the ones on the Kia. The interior is where the actual competition happens. Audi carved out more space for the cabin. It has better cargo space, leg room, and even shoulder room. The only element where Kia won over is the ample headroom, which is lacking in the A5 Sportback. 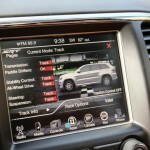 The dashboard is based on the MLB Evo platform. It includes the sat-nav as standard, though you can opt for the Virtual Cockpit. 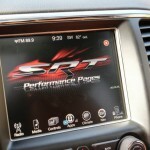 If only based on the dashboard, we have to choose the Sportback over the Stinger. There is no competition when it comes to Audi’s cockpit. It’s still the best in the market today.